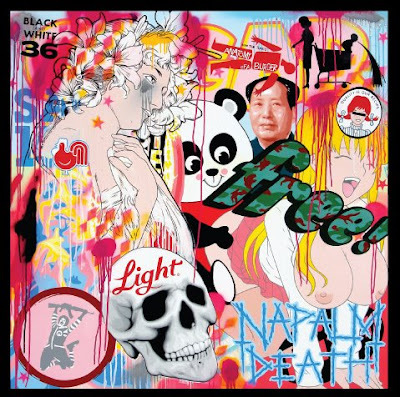 Crapitalism will feature a selection of new paintings, prints and a video installation as Sydney artist Ben Frost explores the darker side of consumerism in his apocalyptic hyper-pop paintings in his first UK solo show. Bold, distinctive, confronting, witty and completely original Ben uses the tricks and techniques of the advertising industry, but not in order to sell hamburgers. Using the symbols and icons of the media moguls, Ben re-calibrates them anew, and turns them against the propaganda industry. The recently launched "No Walls Gallery" are hosting the show and are taking over the Dray Walk space within the Truman Brewery, with the opening night and preview on Thursday the 25th of September.